“Mescalito” redirects here. For the Ryan Bingham album, see Mescalito (album). Lophophora williamsii (/loʊˈfɒfərə wɪliˈæmsiaɪ/) or peyote (/pəˈjoʊti/) is a small, spineless cactus with psychoactive alkaloids, particularly mescaline. Peyote is a Spanish word derived from the Nahuatl, or Aztec, peyōtl [ˈpejoːt͡ɬ], meaning “glisten” or “glistening”. Other sources translate the Nahuatl word as “Divine Messenger”. Peyote is native to Mexico and southwestern Texas. It is found primarily in the Chihuahuan Desert and in the states of Coahuila, Nuevo León, Tamaulipas, and San Luis Potosí among scrub. It flowers from March to May, and sometimes as late as September. The flowers are pink, with thigmotactic anthers (like Opuntia). Known for its psychoactive properties when ingested, peyote is used worldwide, having a long history of ritualistic and medicinal use by indigenous North Americans. Peyote contains the hallucinogen mescaline. A group of Lophophora williamsii. The various species of the genus Lophophora grow low to the ground and they often form groups with numerous, crowded shoots. The blue-green, yellow-green or sometimes reddish-green shoots are mostly flattened spheres with sunken shoot tips. They can reach heights of from 2 to 7 centimeters (0.79 to 2.76 in) and diameters of 4 to 12 cm (1.6 to 4.7 in). There are often significant, vertical ribs consisting of low and rounded or hump-like bumps. From the cusp areoles arises a tuft of soft, yellowish or whitish woolly hairs. Spines are absent. Flowers are pink or white to slightly yellowish, sometimes reddish. They open during the day, are from 1 to 2.4 cm long, and reach a diameter from 1 to 2.2 cm. The cactus produces flowers sporadically; these are followed by small edible pink fruit. The club-shaped to elongated, fleshy fruits are bare and more or less rosy colored. At maturity, they are brownish-white and dry. The fruits do not burst open on their own and they are between 1.5 and 2 cm long. They contain black, pear-shaped seeds that are 1 to 1.5 mm long and 1 mm wide. The seeds require hot and humid conditions to germinate. Peyote contains a large spectrum of phenethylamine alkaloids. The principal one is mescaline for which the content of Lophophora williamsii is about 0.4% fresh (undried) and 3–6% dried. Peyote is extremely slow growing. Cultivated specimens grow considerably faster, sometimes taking less than three years to go from seedling to mature flowering adult. More rapid growth can be achieved by grafting peyote onto mature San Pedro root stock. The top of the above-ground part of the cactus, the crown, consists of disc-shaped buttons. These are cut above the roots and sometimes dried. When done properly, the top of the root forms a callus and the root does not rot. When poor harvesting techniques are used, however, the entire plant dies. Currently in South Texas, peyote grows naturally but has been over-harvested, to the point that the state has listed it as an endangered species. The buttons are generally chewed, or boiled in water to produce a psychoactive tea. Peyote is extremely bitter and most people are nauseated before they feel the onset of the psychoactive effects. L. williamsii is native to southern North America, mainly distributed in Mexico. In the United States it grows in Southern Texas. In Mexico it grows in the states of Chihuahua, Coahuila, Nuevo León, and Tamaulipas in the north to San Luis Potosi and Zacatecas. It is primarily found at elevations of 100–1,500 m (330–4,920 ft) and exceptionally up to 1,900 m (6,200 ft) in the Chihuahuan desert, but is also present in the more mild climate of Tamaulipas. Its habitat is primarily in desert scrub, particularly thorn scrub in Tamaulipas. It is common on or near limestone hills. When used for its psychoactive properties, common doses for pure mescaline range from roughly 200 to 400 mg. This translates to a dose of roughly 10 to 20 g of dried peyote buttons of average potency; however, potency varies considerably between samples, making it difficult to measure doses accurately without first extracting the mescaline. The effects last about 10 to 12 hours. Peyote is reported to trigger rich visual or auditory effects (see synesthesia). In addition to psychoactive use, some Native American tribes use the plant in the belief it may have curative properties. They employ peyote to treat such varied ailments as toothache, pain in childbirth, fever, breast pain, skin diseases, rheumatism, diabetes, colds, and blindness. The US Dispensatory lists peyote under the name Anhalonium, and states it can be used in various preparations for neurasthenia, hysteria and asthma. Peyote also contains an alkaloid called peyocactin. It is now called hordenine. Peyote poisoning has been a concern in California. In 2005 researchers used radiocarbon dating and alkaloid analysis to study two specimens of peyote buttons found in archaeological digs from a site called Shumla Cave No. 5 on the Rio Grande in Texas. The results dated the specimens to between 3780 and 3660 BCE. Alkaloid extraction yielded approximately 2% of the alkaloids including mescaline in both samples. This indicates that native North Americans were likely to have used peyote since at least five-and-a-half thousand years ago. Specimens from a burial cave in west central Coahuila, Mexico have been similarly analyzed and dated to 810 to 1070 CE. From earliest recorded time, peyote has been used by indigenous peoples, such as the Huichol of northern Mexico and by various Native American tribes, native to or relocated to the Southern Plains states of present-day Oklahoma and Texas. Its usage was also recorded among various Southwestern Athabaskan-language tribal groups. The Tonkawa, the Mescalero, and Lipan Apache were the source or first practitioners of peyote religion in the regions north of present-day Mexico. They were also the principal group to introduce peyote to newly arrived migrants, such as the Comanche and Kiowa from the Northern Plains. The religious, ceremonial, and healing uses of peyote may date back over 2,000 years. Under the auspices of what came to be known as the Native American Church, in the 19th century, American Indians in more widespread regions to the north began to use peyote in religious practices, as part of a revival of native spirituality. 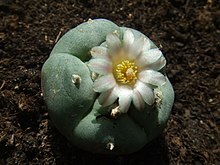 Its members refer to peyote as “the sacred medicine”, and use it to combat spiritual, physical, and other social ills. 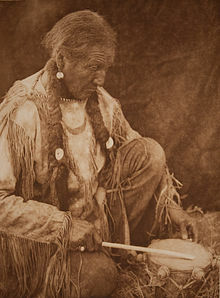 Concerned about the drug’s psychoactive effects, between the 1880s and 1930s, U.S. authorities attempted to ban Native American religious rituals involving peyote, including the Ghost Dance. Today the Native American Church is one among several religious organizations to use peyote as part of its religious practice. Some users claim the drug connects them to God. Traditional Navajo belief or ceremonial practice did not mention the use of peyote before its introduction by the neighboring Utes. The Navajo Nation now has the most members of the Native American Church. Dr. John Raleigh Briggs (1851–1907) was the first to draw scientific attention of the Western scientific world to peyote. Louis Lewin described Anhalonium lewinii in 1888. Arthur Heffter conducted self experiments on its effects in 1897. Similarly, Norwegian ethnographer Carl Sofus Lumholtz studied and wrote about the use of peyote among the Indians of Mexico. Lumholtz also reported that, lacking other intoxicants, Texas Rangers captured by Union forces during the American Civil War soaked peyote buttons in water and became “intoxicated with the liquid”. A study published in 2007 found no evidence of long-term cognitive problems related to peyote use in Native American Church ceremonies, but researchers stressed their results may not apply to those who use peyote in other contexts. A four-year large-scale study of Navajo who regularly ingested peyote found only one case where peyote was associated with a psychotic break in an otherwise healthy person; other psychotic episodes were attributed to peyote use in conjunction with pre-existing substance abuse or mental health problems. Later research found that those with pre-existing mental health issues are more likely to have adverse reactions to peyote. Peyote use does not appear to be associated with hallucinogen persisting perception disorder (a.k.a. “flashbacks”) after religious use. Peyote does not seem to be associated with physical dependence, but some users may experience psychological dependence. Peyote can have strong emetic effects, and one death has been attributed to esophageal bleeding caused by vomiting after peyote ingestion in a Native American patient with a history of alcohol abuse. Peyote is also known to cause potentially serious variations in heart rate, blood pressure, breathing, and pupillary dilation. Research into the huichol natives of central-western Mexico, who have taken peyote regularly for an estimated 1,500 years or more, found no evidence of chromosome damage in either men or women. The Huichol religion consists of four principal deities: Corn, Blue Deer, Peyote, and the Eagle, all descended from their Sun God, “Tao Jreeku”. Schaefer has interpreted this to mean that peyote is the soul of their religious culture and a visionary sacrament that opens a pathway to the other deities. However, this exemption would apply only if the peyote cactus were ever explicitly added to the Schedules of the Psychotropic Convention. Currently the Convention applies only to chemicals. Peyote and other psychedelic plants are neither listed nor regulated by the Convention. Mescaline is listed as a Schedule III controlled substance under the Canadian Controlled Drugs and Substances Act, but peyote is specifically exempt. Possession and use of peyote plants is legal. Section 1307.31 Native American Church. The listing of peyote as a controlled substance in Schedule I does not apply to the nondrug use of peyote in bona fide religious ceremonies of the Native American Church, and members of the Native American Church so using peyote are exempt from registration. Any person who manufactures peyote for or distributes peyote to the Native American Church, however, is required to obtain registration annually and to comply with all other requirements of law. Following the passage of the American Indian Religious Freedom Act Amendments of 1994, United States federal law (and many state laws) protects the harvest, possession, consumption and cultivation of peyote as part of “bona fide religious ceremonies” (the federal statute is the American Indian Religious Freedom Act, codified at 42 U.S.C. § 1996a, “Traditional Indian religious use of the peyote sacrament”, exempting only use by Native American persons. US v. Boyll expanded permitted use to all persons engaged in traditional Indian use, regardless of race. All US states with the exception of Idaho and Texas allow usage by non-native, non-enrolled persons in the context of ceremonies of the Native American Church. Some states such as Arizona additionally exempt any general bona fide religious activity or spiritual intent. US jurisdictions enacted these specific statutory exemptions in reaction to the US Supreme Court‘s decision in Employment Division v. Smith, 494 U.S. 872 (1990), which held that laws prohibiting the use of peyote that do not specifically exempt religious use nevertheless do not violate the Free Exercise Clause of the First Amendment. Peyote is listed by the United States DEA as a Schedule I controlled substance. ^ “Lophophora williamsii“. The IUCN Red List of Threatened Species, IUCN Global Species Programme, Red List Unit, Cambridge, UK. 2017. Retrieved 12 April 2018. ^ Salak, Kira. “Lost Souls of the Peyote Trail (published in National Geographic Adventure)”. Kira Salak. Kira Salak, KiraSalak.com. Retrieved 2013-09-12. ^ Andrews, J. Richard (2003). Workbook for Introduction to Classical Nahuatl, Revised Edition. University of Oklahoma Press. ISBN 978-0-8061-3453-6. p. 246. See peyotl in Wiktionary. ^ Anderson, Edward F. (2001). The Cactus Family. Pentland, Oregon: Timber Press. ISBN 978-0-88192-498-5. p. 396. ^ a b “Lophophora”. Visionary Cactus Guide. Erowid.org. 2008-03-08. Retrieved 2013-09-12. ^ “Year by year progress report documenting the increased growth rates of grafted peyote”. The Lophophora Blog. Retrieved 30 December 2008. ^ “Proper peyote harvesting technique”. The Lophophora Blog. Retrieved 30 December 2008. ^ Martin, Terry (July 2008). “Stalking the wild Lophophora Part 1: Chihuahua and Coahuila” (PDF). Cactus and Succulent Journal. Cactus and Succulent Society of America. 80 (4): 181–186. doi:10.2985/0007-9367(2008)80[181:STWL]2.0.CO;2. ISSN 0007-9367. Retrieved 2013-09-12. ^ Martin, Terry (September 2008). “Stalking the wild Lophophora Part 2: Zacatecas, San Luis potosí, Nuevo León, and Tamaulipas” (PDF). Cactus and Succulent Journal. Cactus and Succulent Society of America. 80 (5): 222–228. doi:10.2985/0007-9367(2008)80[222:STWL]2.0.CO;2. ISSN 0007-9367. Retrieved 2013-09-12. ^ Martin, Terry (November 2008). “Stalking the wild Lophophora Part 3: San Luis Potosí (central), Querétaro, and Mexico City” (PDF). Cactus and Succulent Journal. Cactus and Succulent Society of America. 80 (6): 310–317. doi:10.2985/0007-9367-80.6.310. ISSN 0007-9367. Retrieved 2013-09-12. ^ Zimmerman, Allan D.; Parfitt, Bruce D. (2006). “Lophophora williamsii”. In Flora of North America Editorial Committee, eds. 1993+. Flora of North America. 4. New York & Oxford: Oxford University Press. p. 242. ^ Orsolini, L; Papanti, G. D; De Berardis, D; Guirguis, A; Corkery, J. M; Schifano, F (2017). “The “Endless Trip” among the NPS Users: Psychopathology and Psychopharmacology in the Hallucinogen-Persisting Perception Disorder. A Systematic Review”. Frontiers in Psychiatry. 8: 240. doi:10.3389/fpsyt.2017.00240. PMC 5701998. PMID 29209235. ^ Halberstadt, A. L (2014). “Recent Advances in the Neuropsychopharmacology of Serotonergic Hallucinogens”. Behavioural Brain Research. 277: 99–120. doi:10.1016/j.bbr.2014.07.016. PMC 4642895. PMID 25036425. ^ Schultes, Richard Evans (1938). “The appeal of peyote (Lophophora williamsii) as a medicine”. American Anthropologist. 40 (4): 698–715. doi:10.1525/aa.1938.40.4.02a00100. ^ McCleary, J.A. ; Sypherd, P.S. ; Walkington, D.L. (1960). “Antibiotic Activity of an Extract Of Peyote [Lophophora williamsii (Lemaire) Coulter]”. Economic Botany. 14 (3): 247–249. doi:10.1007/bf02907956. ^ a b Carstairs, S. D; Cantrell, F. L (2010). “Peyote and mescaline exposures: A 12-year review of a statewide poison center database”. Clinical Toxicology. 48 (4): 350–3. doi:10.3109/15563650903586745. PMID 20170392. ^ El-Seedi HR, De Smet PA, Beck O, Possnert G, Bruhn JG (October 2005). “Prehistoric peyote use: alkaloid analysis and radiocarbon dating of archaeological specimens of Lophophora from Texas”. J Ethnopharmacol. 101 (1–3): 238–42. doi:10.1016/j.jep.2005.04.022. PMID 15990261. ^ Bruhn JG, Lindgren JE, Holmstedt B, Adovasio JM (March 1978). “Peyote Alkaloids: Identification in a Prehistoric Specimen of Lophophora from Coahuila, Mexico”. Science. 199 (4336): 1437–1438. doi:10.1126/science.199.4336.1437. PMID 17796678. ^ Opler, Morris Edward (2008) . “The use of Peyote by the Carrizo and Lipan Apache tribes”. American Ethnography Quasimonthly. Retrieved 19 January 2009. ^ Schultes, Richard Evans (2008) . “The appeal of peyote (Lophophora Williamsii) as a medicine”. American Ethnography Quasimonthly. Retrieved 19 January 2009. ^ “The people who take drugs to see God”. BBC news. 21 August 2016. ^ Lewin, Louis (1888-05-18). “Ueber Anhalonium Lewinii”. Archiv für Experimentelle Pathologie und Pharmakologie (in German). 24 (6): 401–411. doi:10.1007/bf01923627. ^ Halpern JH, Sherwood AR, Hudson JI, Yurgelun-Todd D, Pope HG Jr. Psychological and cognitive effects of long-term peyote use among Native Americans. Biol Psychiatry. 2005;58(8):624-631. ^ Bergman RL (1971). “Navajo peyote use: its apparent safety,” Amer J Psychiat 128(6):695-699[51-55]. ^ Inaba, D.S. & Cohen, W.E. (2004). Uppers, Downers, All Arounders. (pp. 229-230, 232). Oregon: CNS Publications, Inc.
^ Halpern, J. H. (1996). The use of hallucinogens in the treatment of addiction. Addiction Research, 4(2);177-189. ^ K B Nolte and R E Zumwalt. Fatal peyote ingestion associated with Mallory-Weiss lacerations. West J Med. 1999 Jun; 170(6): 328. ^ Dorrance; Janiger; and Teplitz (1975), “Effect of peyote on human chromosomes: cytogenic study of the huichol indians of northern mexico.” JAMA 234:299-302. ^ cbc.ca; CBC News: Psychedelic use spreads in B.C. native community, accessed 15 Aug 2016. ^ “Section 1307.31 Native American Church”. Code of Federal Regulations. U.S. Department of Justice Drug Enforcement Administration Office of Diversion Control. Retrieved 2013-09-12. ^ UNITED STATES of America, Plaintiff, v. Robert Lawrence BOYLL, Defendant. , Crim. No. 90-207-JB, 774 F.Supp. 133 (D.N.M. 1991) (United States District Court, D. New Mexico 1991-09-03). Calabrese, Joseph D. “The Therapeutic Use of Peyote in the Native American Church” Chapter 3 in Vol. 1 of Psychedelic Medicine: New Evidence for Hallucinogens as Treatments Michael J. Winkelman and Thomas B. Roberts (editors) (2007). Westport, CT: Praeger/Greenwood. Dawson, Alexander S. 2018. The Peyote Effect: From the Inquisition to the War on Drugs. University of California Press, 2018. Feeney, Kevin. “The Legal Basis for Religious Peyote Use.” Chapter 13 in Vol 1 of Psychedelic Medicine: New Evidence for Hallucinogens as Treatments Michael J. Winkelman and Thomas B. Roberts (editors) (2007). Westport, CT: Praeger/Greenwood. Baggot, Matthew J. A Note on the Safety of Peyote when Used Religiously. Council on Spiritual Practices, 1996.